Do you dream of travelling to a galaxy far, far away but don’t quite have the funds for space travel? Congratulations, you’re just like 99.9 percent of the population. Not to worry though, you can still trek through the sands of Tatooine, watch speeder bike chases in the trees of Endor and become one with the Force … right here from Mother Earth. We binged every episode and scoured the internet in search of the best Star Wars filming locations accessible to the public. If you have a lightsaber under your bed and a Lego Death Star on your nightstand, then this Star Wars travel guide is for you. Oh, and if you’re wondering why we left out Episode I, are you even a real fan? 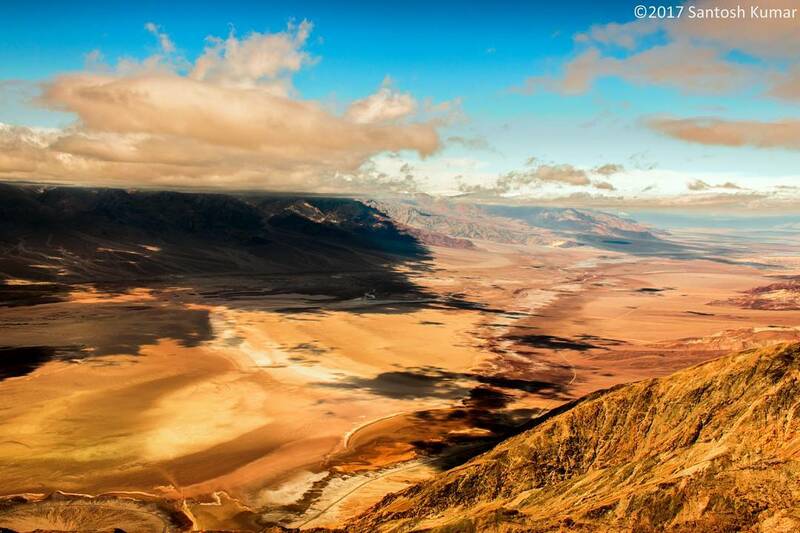 A long time ago, in a desert not so far away, Death Valley transformed into Tatooine, home to Jawas, Skywalker Farms and Jabba the Hut. Start your galactic adventure by spending the night at Furnace Creek Inn and Ranch Resort and grab an interactive map from the front desk for all the filming locations. Get nerdy at Dante’s Peak and stand where Luke Skywalker and Obi-Wan Kenobi once stood to overlook the breathtaking view of Mos Eisley. Make sure to stay on your toes when you go to Desolation Canyon … sand people have been known to lurk. Then, trek the path to Old Ben’s located in the midst of Artists Drive and Artists Palette in the Black Mountains. 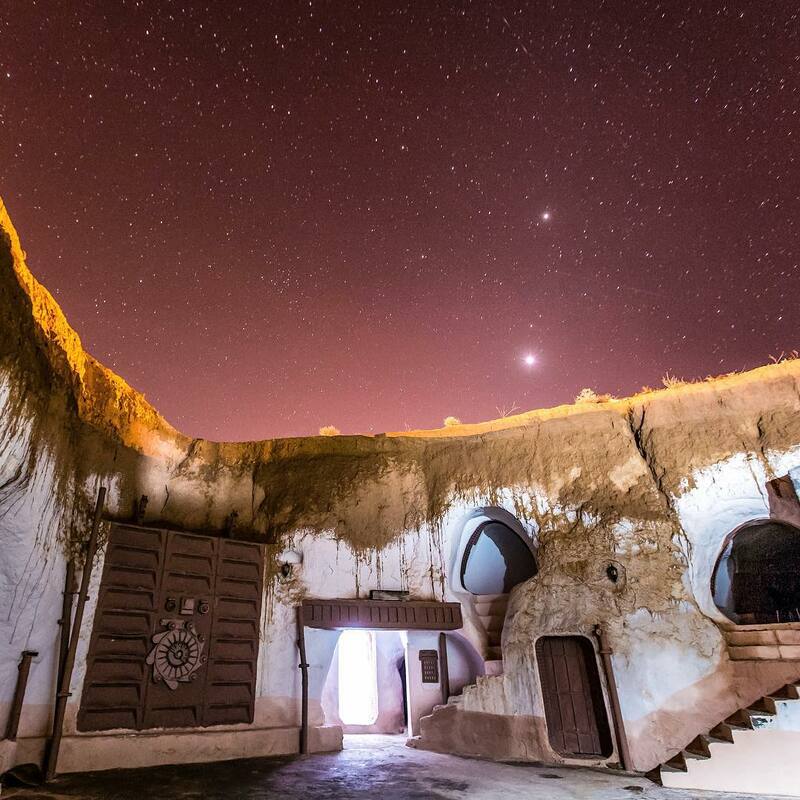 Among Star Wars fans, Hotel Sidi Driss is colloquially known as the Star Wars Hotel. The traditional berber house was built centuries ago, but vamped up and decorated for New Hope and then again in 2000 for Attack of the Clones. Sit down for a meal where young master Luke Skywalker once ate with Uncle Owen. Venture through the house Lars and Beru owned, with most of the decor still intact from filming. Let your Star Wars freak flag fly with pride and show up in your best galactic ensemble. Context in Film: Scenes of the snow planet, Hoth. Be sure to dress warm, use the buddy system and head in before dark … otherwise you may end up held hostage like Luke Skywalker by a Wampa and spend the night against your will inside of a Tauntaun to keep warm. The somewhat nearby Finse 1222 lodged the cast and crew for a duration of the The Empire Strikes Back production. That’s right, you too can catch some Z’s where Mark Hamill, Carrie Fisher and Harrison Ford once laid their heads. While part of the film was shot in front of the hotel, most was filmed up on the glaciers. Lucky for you, the hotel offers glacier climbing with skilled guides. 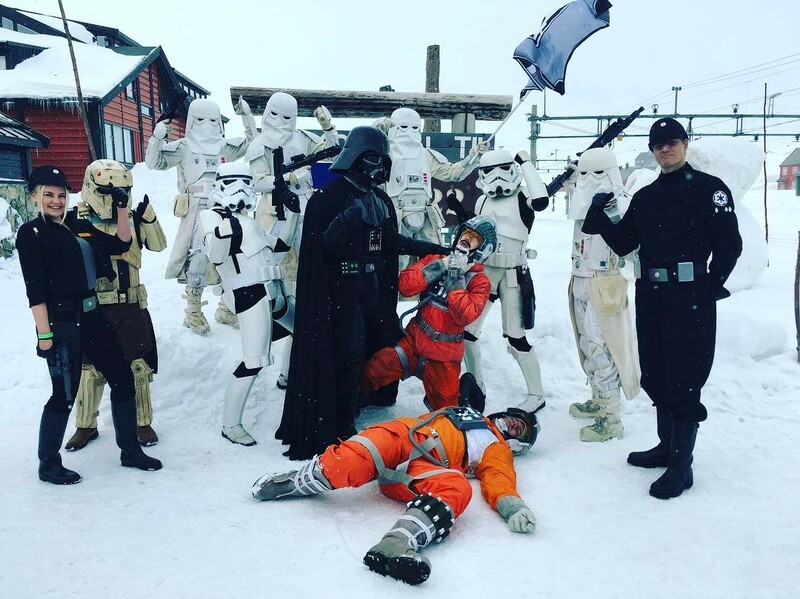 Fun fact: Once a year, Finse 1222 hosts a Star Wars Weekend where all of the loved and not-so-loved characters come out to play. We’ve got good news and not-so-good news. If you wanted to cuddle with the feisty yet adorable Ewoks in Ewok Village, you are about 32 years too late as Miller-Rellim Redwood Company Land was logged a year after filming. The next best thing would be to go looking for bears, which is synonymous with signing your own death warrant. 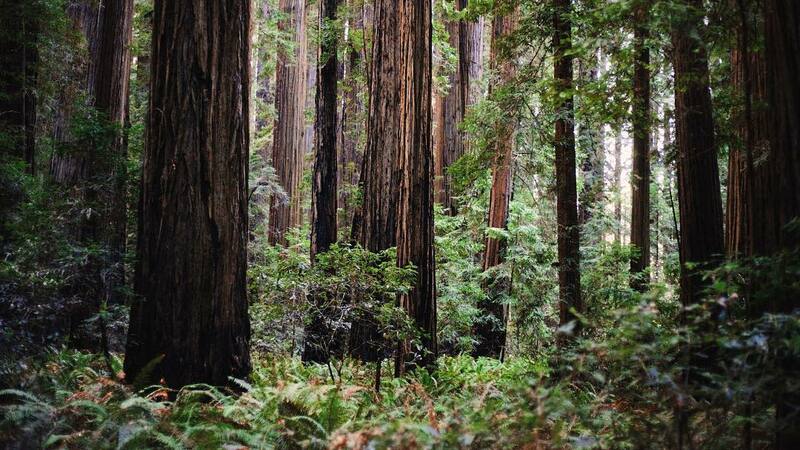 The Land of Endor lives on, however, at the Grizzly Creek Redwoods State Park where you may be able to see a speeder bike or two whip by in a high speed chase. If that isn’t exciting enough, which it should be, simply revel in the beauty of some of the tallest trees in the world. Grizzly Creek is open to camping and short hikes, but be sure to book your campgrounds in advance as sites go fast! Do you dream of getting married on the balcony of Naboo where Padme and Anakin tied their knot? If so, start growing out that single, long braid on the right side of your Padawan dome and find yourself a queen or king—we don’t judge. 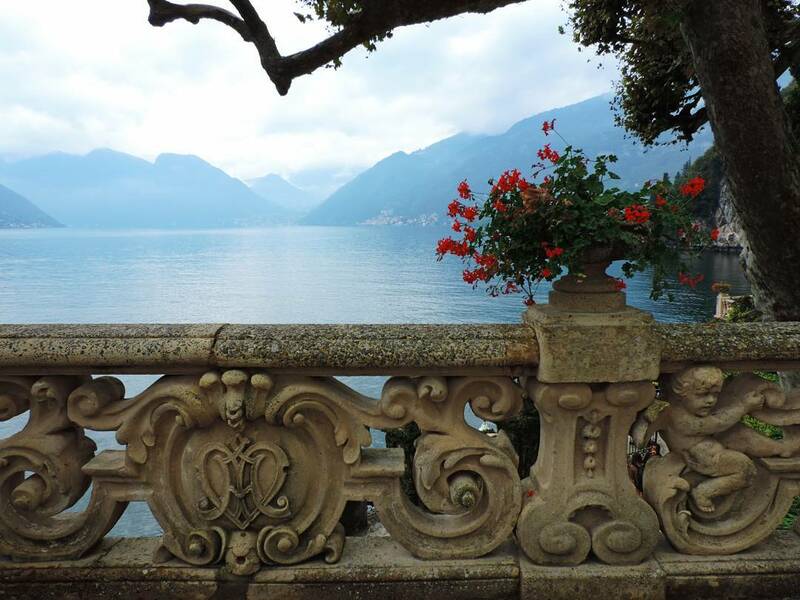 Villa del Balbianello is a commune in Lenno that overlooks Lake Como, so go ahead and honeymoon here as well. If you haven’t found that special someone yet, this commune offers a series of family fun activities from biking through the gardens to shopping local products and literature. OK, nerds. Buckle up for a scenic vacation to Kashyyyk, home of Chewbacca and to get down and hairy with these loveable and technologically advanced wookies in South East Asia. 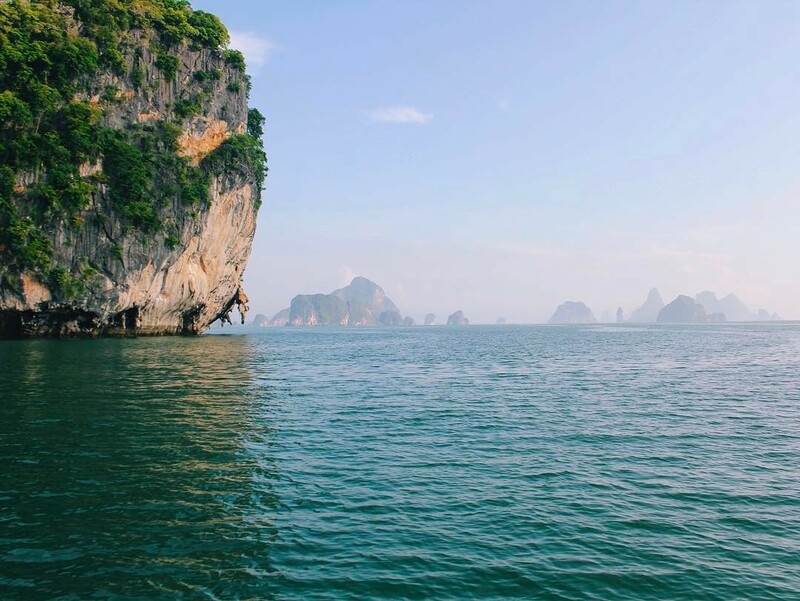 Phang-nga Bay lies on the coast of Phuket Island and is known for its limestone cliffs and rock formations that live in the vibrant blue waters of Malacca Strait. When you inner geologist/rock climber is done drooling, head on over to Guilin to boat through Cedar Lake. Disclaimer: No filming actually took place in either of these locations but they were used for plate photography for backdrops of Kashyyyk. LA-born, Georgia-bred and one-half of a set of identical twins, Casha Doemland spends her days writing and exploring. She’s a classic film enthusiast, runner, dog walker and collector of quotes and tattoos. Located in Matmata in Tunisia, Hôtel Sidi Driss has become one of the most famous filming locations of Star Wars, nicknamed the Star Wars hotel. Hardangerjøkulen is the sixth largest glacier in mainland Norway. Grizzly Creek Redwoods State Park is a state park of California, USA, harboring groves of coast redwoods in three separate units along the Van Duzen River.